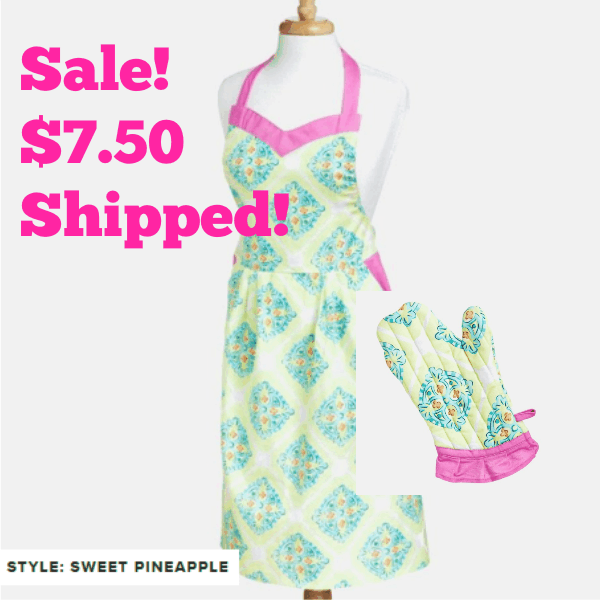 Fun and Flirty Oven Mitt & Apron Set ONLY $7.50 + FREE Shipping (was $40)! You are here: Home / Great Deals / Fun and Flirty Oven Mitt & Apron Set ONLY $7.50 + FREE Shipping (was $40)! Hurry and grab this Fun and Flirty Oven Mitt & Apron Set for ONLY $7.50 + FREE Shipping (was $40)! Use coupon code REDUCE50 at checkout!